We are a content services firm providing innovative solutions for books, journals, eLearning, and technical documentation. We help publishers and corporations gain competitive advantage through our innovative approach. At SpiralUp, our mission is to provide state-of-the-art products and solutions of the highest quality for content delivery and management on various platforms. We have a well-established process in place that enables us to work efficiently no matter where our clients are based. We take pride in our comprehensive quality control protocol that ensures the highest quality for our deliverables. 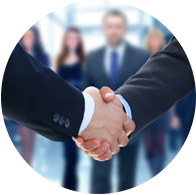 We are the perfect-sized organization to ensure that we are customer-focused and maintain close relationships with our clients. Our international presence ensures personal attention to client needs in order to ensure satisfaction. Our skilled and well-trained team provides us the flexibility to undertake complex projects and to meet tight deadlines. We use the latest software and effective in-house tools to achieve perfection. Our management team is composed of technology experts from India’s premier institutions. 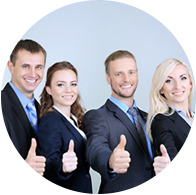 With years of cumulative experience, our team has years of solid professional experience in the field of content delivery. An M.Tech from IIT, Madras, Sundari has more than 10 years of experience in people/project management in the IT industry in India and abroad. Having solid experience in project execution and team management at various organizations like Cognizant Technology Solutions, Sundari spearheads business development, human resources, training initiatives, and quality compliance at SpiralUp. 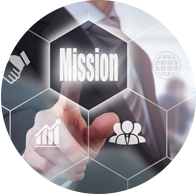 She also contributes to the evaluation and development of operational strategy and performance of the company. Saravanan Chandiran has an architecture degree from SAP, Anna University, Guindy. Hailing from a family that has been in the printing and publishing industry for the last three decades, he has more than 10 years of experience in service delivery and management at various organizations including Wipro Technologies. He also holds an Executive Program in Business Management Certificate from IIM Calcutta. As one of the co-founders of SpiralUp, Saravanan manages our strategy and our relationships with clients; he is responsible for the overall performance of the company. Our people are our most valued asset—they individually and collectively contribute to the achievement of the objectives of the business. Our in-house team of copyeditors is composed of postgraduates, MPhils, and PhDs from reputable academic institutions. Their experience ensures that an author’s message is clear and accessible for the end user and provides the crucial link between the author and the reader. Together with our quality control team, we shape the final appearance of the book/article in terms of its content, language, styling, spelling, grammar, punctuation, headings, references, index, footnotes, pagination rules, and table and figure placement. Being aware that new talent can be discovered and used to the fullest extent from anywhere in the world, we not only have an innovative team of copyeditors internally but also employ a pool of vastly experienced external freelancers. They add value to our services by working as virtual editors who are spread across the rest of India and the world. The editors at SpiralUp Solutions who are knowledgeable in various scientific disciplines appreciate an author’s concerns and respect the content and its expression. With their varied experiences in working with many prestigious publishers and corporations, SpiralUp's editors are well-versed with many different styles of editing including CMS, APA, AMA, and CSE. 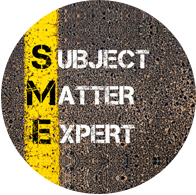 Our consultant SME panel who have college and graduate degrees in medical, scientific, and other technical fields support our copyeditors with their knowledge of medical, scientific, and drug nomenclature. This multilayered structure helps us provide a quick turnaround when editing complex books/journals. Copyright 2015. SpiralUp Solutions. All Rights Reserved.